We take security seriously and for your peace of mind and the safety of your family, we have designed and assisted in the design of the following products. We also custom-make security products. You can send us a message to make what you believe would be a suitable hidden camera and our design team and engineers will make you the camera. WIFI Hidden Camera Desk Lamp:The WiFi desk spy camera connects to your existing home or office WiFi network, and allows you to live stream your video through your broadband internet connection to your favorite smartphone so you can monitor the camera feed live from anywhere in the world. 2. 1080P HD Video Camera: With 1080P HD resolution, f/2.5 aperture and 90° wide-angle lens, the camera provides complete coverage in crystal-clear images, Real-time streaming to your phone & activity alerts when motion is detected. The friendly App allows you to customize your settings according to your preferences: defined activity regions, camera sharing, customize alert schedules, and more. Available for iOS and Android. 3. This desk lamp wifi Camera always keeps an eye on things that are important to you. With built-in high accuracy motion detection technology, the camera sends notifications to your mobile phone alerting when, where, and what movement was detected so you always stay on top of things that matter. 4. Night Vision WiFi Camera: The IR lights makes view live video also clear even in dark environments, without disturbing those being monitored. 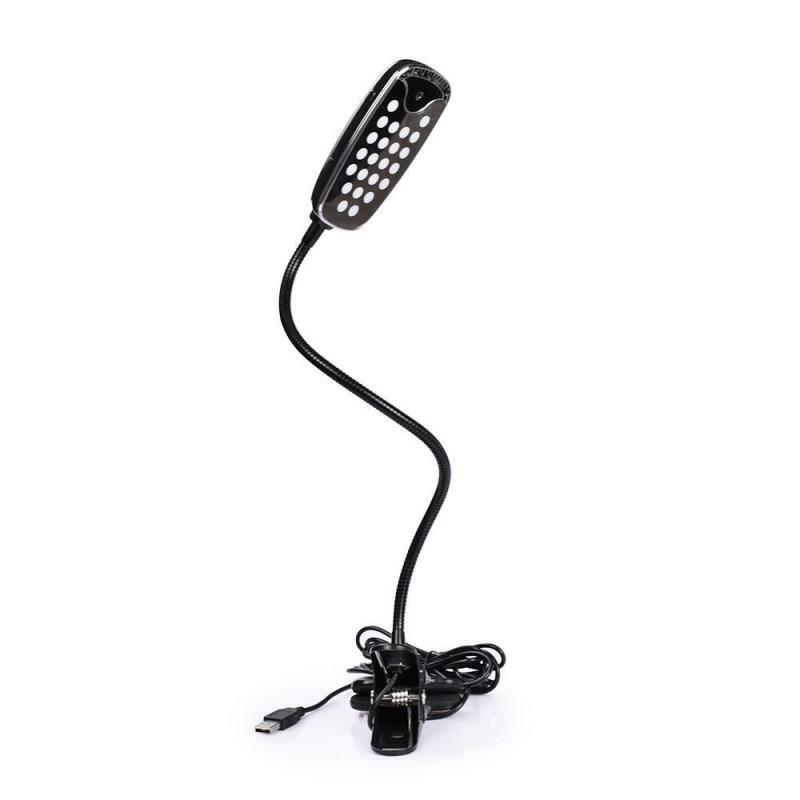 It's also a fashion desk lamp with soft lighting for home using. 5. Built-in support for 802.11b/g/n 2.4Ghz (5Ghz currently not supported) WIFI band. Reliable Wi-Fi connectivity to access your camera with 'CBHCAM" App on mobile device. Video streams from the desk lamp spy camera to the free streaming app available for both iPhone iOS and Android devices, All of the setup and configuration is done right within the app which makes camera operation simple and easy. With the led lighting function and night vision lights, you can shootign ultra clear photos and recording HD video via adjust the APP. The WiFi Hidden Camera Desk Lamp is AC powered for 24/7 continuous operation, which means there are no battery life concerns to worry about. This allows you to monitor your home or office via hands off video view. Another unique feature of the hidden camera desk lamp are motion-detection alerts, which will notify you instantly via the app if your camera detects activity nearby - perfect for home and office security. 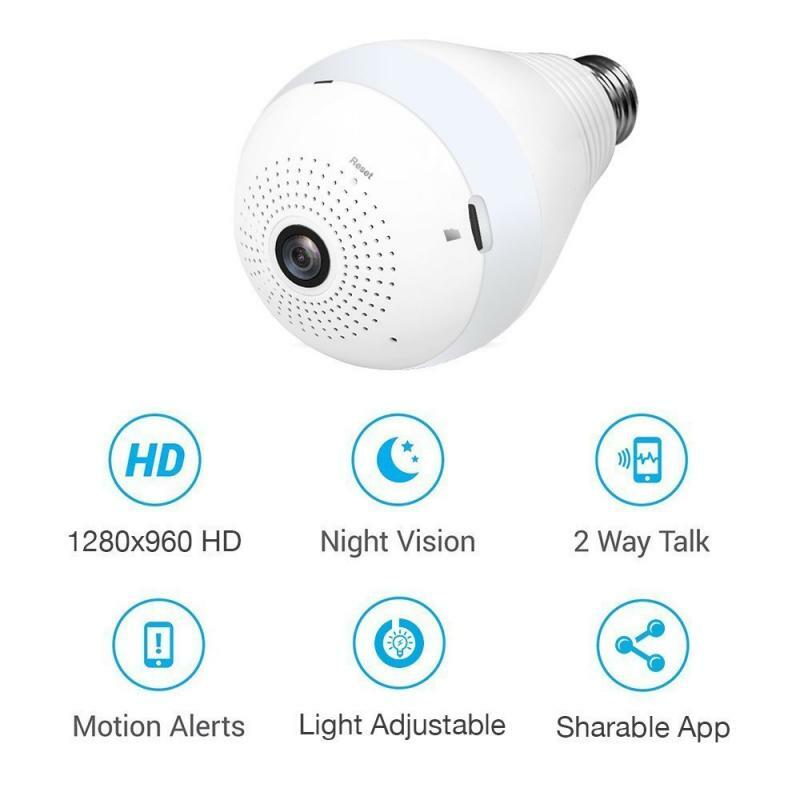 If you have multiple rooms to monitor, you can mix and match this WiFi camera with any of the other models below, and view them all in the same app. You can even "quad view" and watch up to 4 cameras in a split-screen at once. Parents - Use as a nanny cam to watch your children while you are at work. Employers and Business Owners - Make sure employees are working while you're gone. Homeowners - Use as a home security camera to catch a thief or burglar in the act. Vacation Homes - Check in and make sure other homes or condos are safe and secure. Retail Stores - Protect your business and help catch shoplifters easily on video. 【Book Shape Design Hiddeen Camera】---Looks like a regular notebook with built-in invisible lens,easy to carry and secret conceal anywhere especially bookshelves for home and office to monitor.This notebook binder camera also can work as a real binder and you can actually put papers with holes in it. 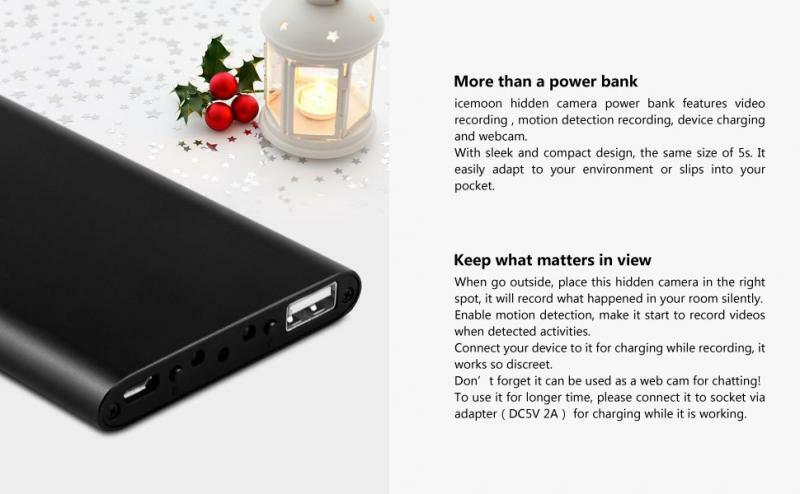 【Built-in 10000mAh Supper Capacity Battery】---PIR motion activated recording standby time up to 2 years.Manual continuously record for day time up to 30 hours and night visual recording time up to 10 hours. 【True Night Vision Videos Capture】---With no glow black infrared LED,this nanny camera can work well at night,generate bright and clear vedio images in 1280 x 720p.Never miss a moment, day or night, with visibility up to 25 feet in complete darkness.Support loop recording and charging while recording that never worry about running out of battery life. 【Sensitive Motion Detection Spy Camera】---This PIR motion sensor makes it record well in daylight also total darkness.Just put it up and open the Motion Detection Mode,any movements will activate the camera to record with no delay,perfect for surveillance!Built-in 10000mAh battery can support it up to 2 years for motion detection standby mode. 【What You Get】---Conbrov DV9 Spy Camera,Micro USB cable,card reader,pin,user manual,and our worry-free 12-month warranty and friendly customer service.Reliable and friendly customer service ready to respond within a 24 hour time frame. 1.The book camera support up to 32GB card(not include),use this device need an sd card. .Loop recording: no need to worry about memory card will be full, it will automatically overwrite the oldest files with the newest, please take out the important video files timely. Manual Record: Press once REC button,blue light flash 3 seconds and goes off. 【IR-CUT IP Camera】IR-CUT can auto switch the filters, so Tooge hidden camera will get the best imaging effect whether day or night. 【Two-way Audio】Real time communicate with family, friends or your pets on mobile devices; Talk/Listen to camera, there is no distance to get in touch with anyone. 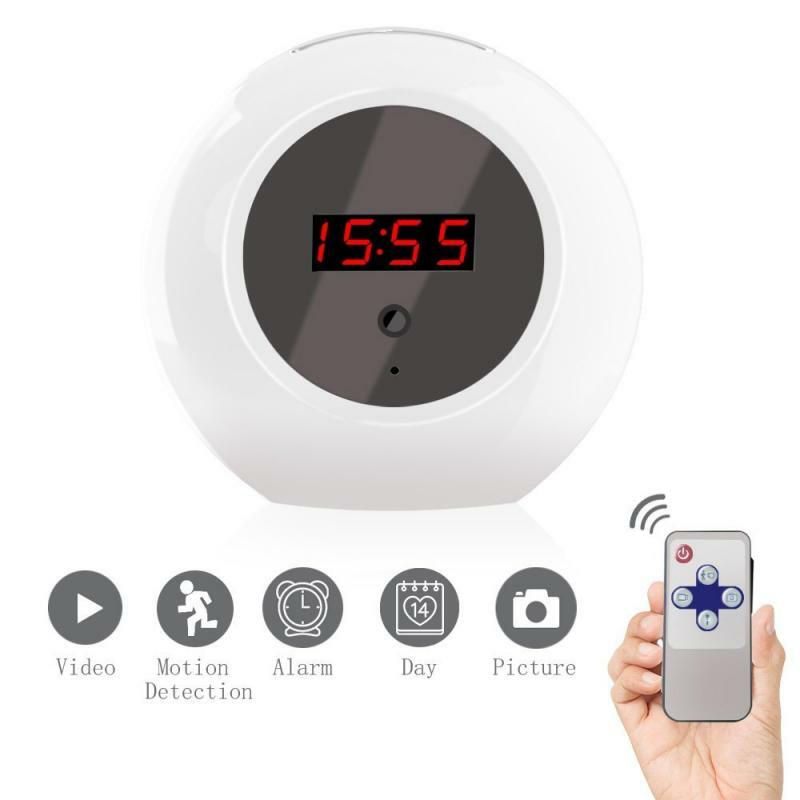 【Motion Detection】Get informed about every movement in your house via phone push notification or store the alert pictures on Micro SD; Perfect for surveillance. 【Easy Setup】Just place Tooge spy camera anywhere you want, screw it in, and enter your WiFi information using the iPhone or Android app. 【Loop Recording】When the memory full, it will auto cover the oldest recordings; Monitoring&Charging at the same time that never worry about running out of battery. It’s a really indoor LED lights,but also a security camera .You can record photos/videos without anyone pay attention in your home.It’s the best Spy Nanny Camera. Have you ever worried about these conditions at home while you try your best to make money? Now with Tooge wireless indoor surveillance camera, all of your monitoring problems can be solved. The free customized app can be shared by 3 people at the same time. You can talk/listen to each other and connect with your family, friends, colleagues anytime and anywhere. 1.SD card is NOT included in the package. 2.Tooge ip camera does NOT support 5G wifi network. 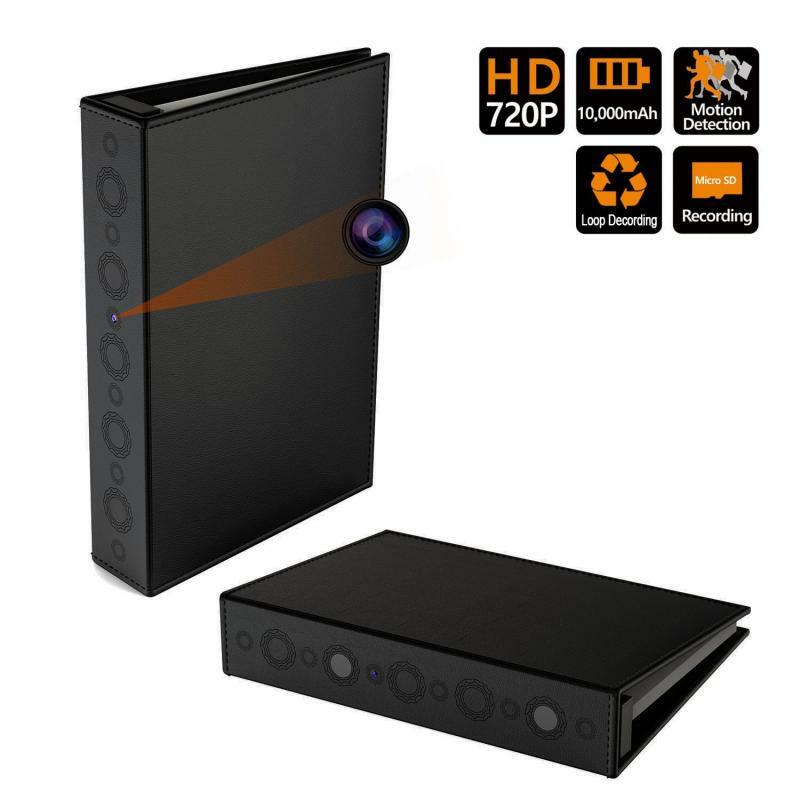 1080P HD VIDEO allows you to see exactly what is going on when you aren't around in your home, office, business, or wherever you need covert security. 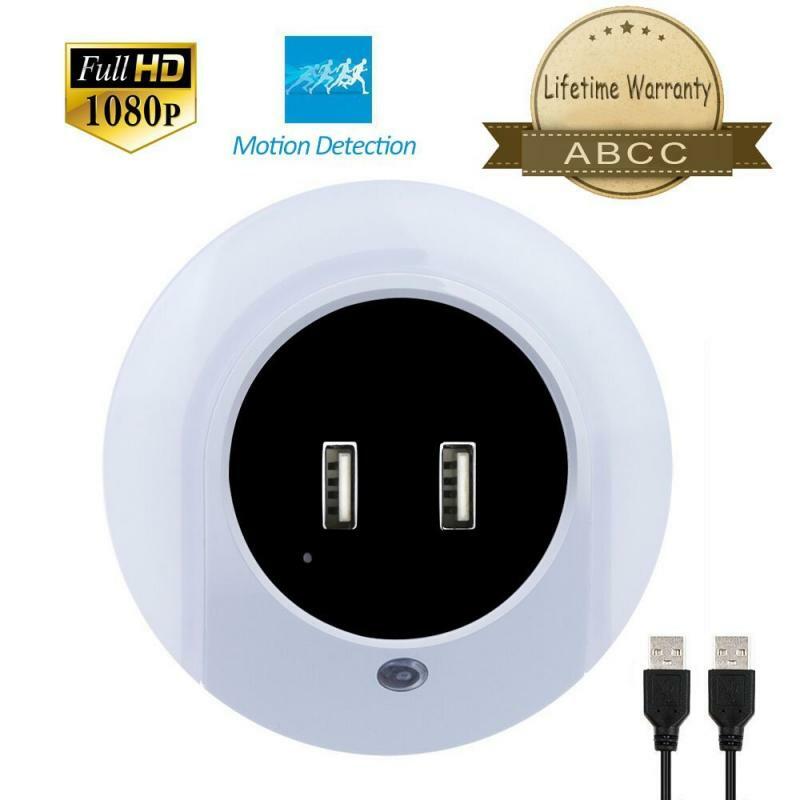 DUAL USB WALL CHARGER: 2 USB ports on the camera, "Charging USB" port can be used as a Charging port, while the "Camera Data USB" port can be used as a data output port t; ON/OFF/AUTO switch to control light .Turn on the Auto button , photocell sensor automatically turns light on at dusk, and off at dawn. CONTINUOUS RECORD: Just plug in plug base, the record begins, it will record the video continuously and simultaneously. Automatic looping overwrites earlier files and will keep the recording going until you are ready to watch your footage. MOTION DETECTION: This hidden camera does not start recording until it detects motion.Never worry about it wastes a lot of recording time, the recording time is more than 7 hours. Warranty :The only company that sells AC Wall Plug Adapter Camera built in 32GB with motion detection.We offer Month Warranty and Lifetime Support Provided. This Hidden Camera perfect for hallway, bathroom, bedroom, kitchen, living room, nursery, kids room, or anywhere you need some extra light during the night without turning on a harsh bright light. Besides, it’s battery supports 16 hours recording, connecting camera alarm clock to adapter for charging when go out for traveling, to get continuous power supply for it, no worries it will stop recording, just enjoy your time. Hidden camera will start recording video when detected movement. If no movement, it will go into motion detection standby mode which can save its battery capacity and sd card space at most degree. After sync mini camera system time before recording, the time will stamp on the video. A good surveillance camera tells you what and when it happened, no more Driver needed here. Turn off hidden camera, connecting it to your PC, pressing “Power” button on the remote controller to get it into Webcam. 1. Hidden camera’s loop recording can’t apply on motion detection mode. Each video clip for motion detection is last for 3 minutes, 10 minutes for the common video. 2. Simply slide the switch to “OFF” and then back to “ON” to reset it if the camera performs abnormally. Advanced Night Vision Technology: This spy camera has 9 invisible black LEDs offering a night visual range from 15 to 25 ft in total darkness. This allows the hidden spy camera to work day and night. Built-in 10000mah Large Capacity Rechargeable Battery: the battery supports up to 30 hours of constant recording for day time and 10 hours at night. The PIR motion activated recording has stunning 2-year standby time. Built in 10000mah Super Battery: manually record for day time up to 30 hours and night visual recording time up to 10 hours. Or PIR motion activated recording standby time up to 2 years. This personal surveillance camera is an effective complement for home security system,even if there's a electric power service interruption. 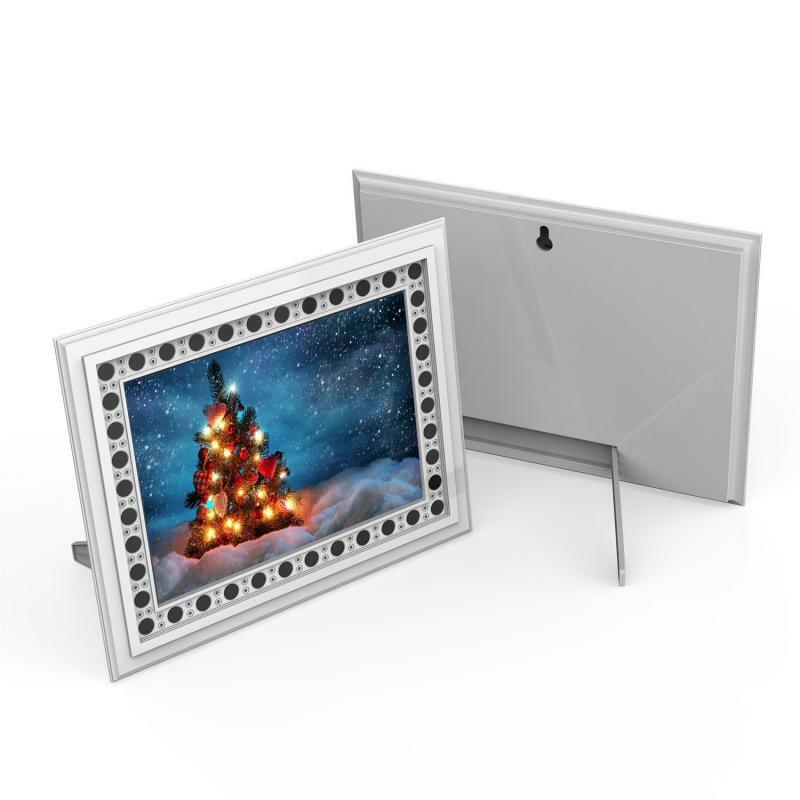 Highly concealed built in lens to match the photo frame as a home decoration, you may never find the camera lens even you look into it, more concealed than other personal protection camera. Simple and practical, built-in stand and hanging hole, you can open its stand and put it on the table, also can hang it on the wall. Not only can be used as a hidden camera, but also as a home decoration. EXCLUSIVELY DESIGNED FOR RECORDING LOVERS - This is an authentic spy camera pen, which allows you to record pets, kids and anything you care. Inbuilt rechargeable Polymer Lithium battery (220mAH) can last 60-90 minutes. Time can be setup so that you know exactly when the video/picture was taken. 1080P REAL HD SPY CAM - Vibrant colors, steady frame, top grade video capture technology. HD 1920*1080P video resolution, 12 Million Pixels(2560*1920p) snapshot pictures resolution, full HD 1080P hidden video camera allows you to get clear videos and pictures at 70ft away in bright environment. Included 32GB Micro SD card allow you store 500 minutes videos and 4000 pictures on the camera. USER FRIENDLY - The hidden video camera itself is very professional, sleek, polished and can be used as an executive ball-point pen.The camera has two modes to select through a switch - HD video record mode & only microphone record/ take photo mode. Just one click on and one click off allows you to start/stop record right away, all files will be saved to SD card automatically. PLUG & PLAY INTO ANY PC/MAC - Minicute Hidden Camera is both PC and Mac Compatible 2.0 USB. Simply record your footage, plug the spy pen into your USB port on your computer with the included USB cable, and review your footage. There is no need to install a driver into the PC. Support Windows XP/Vista/win7/win8/win8.1/win10/win11 /MAS OS/LINUX and so on. (A memory card reader need to be used on win10). 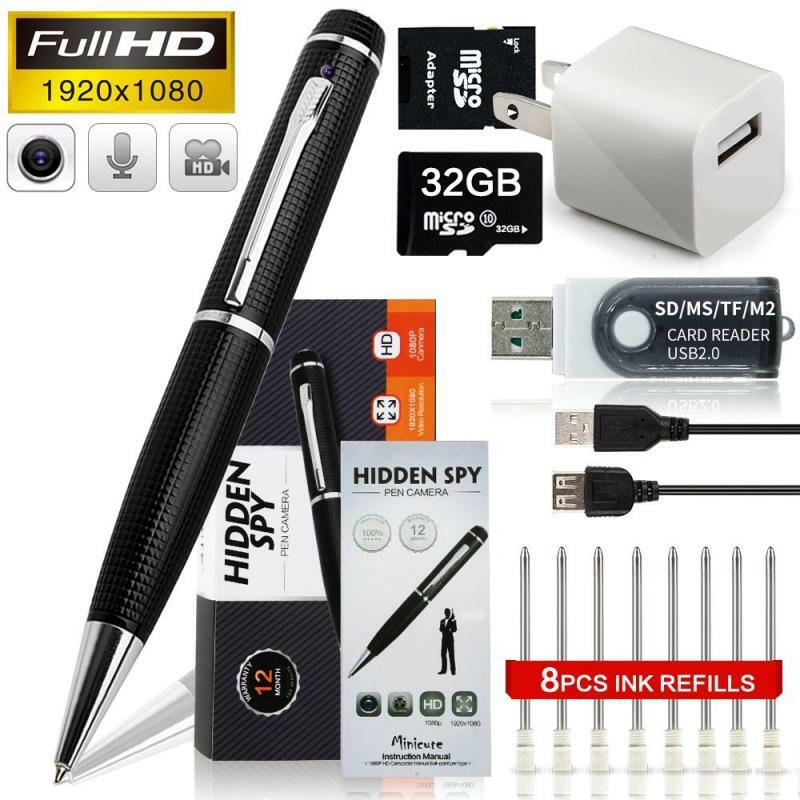 WHAT YOU’LL GET – Package includes 1x Spy Camera Pen + 1x USB Cable + 1x User Manual + 1x 32GB SD Card + 1x Card Reader + 1x SD Card Adapter +1x USB Plug + 8x Ink Refill. 100% satisfaction and 30 days money back guarantee. Come in an exquisite box, perfect for any gift giving occasion. Treat yourself or someone special to this stunning spy camera. 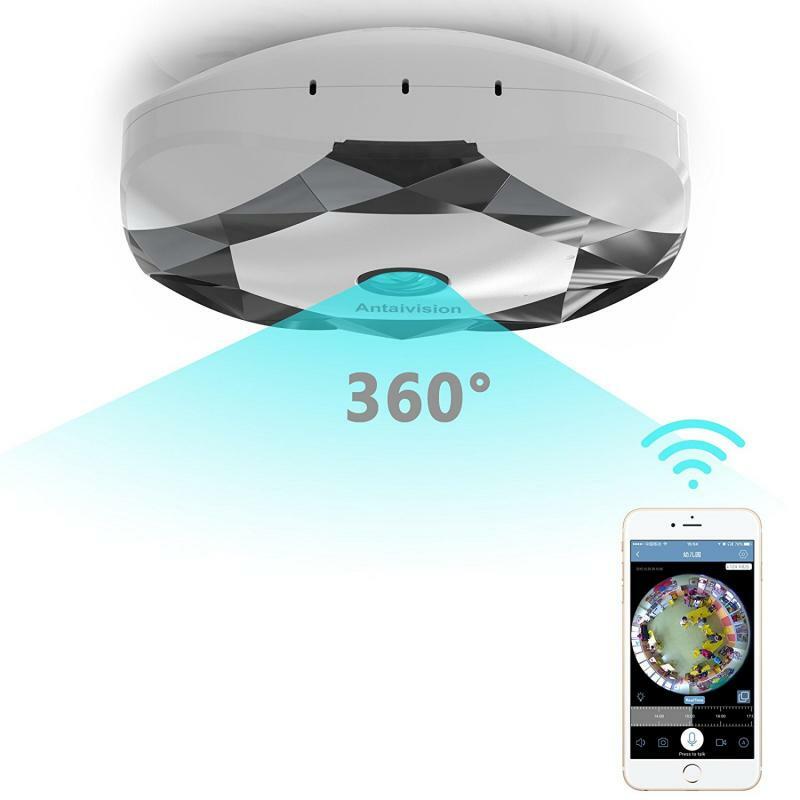 ★360 Degree View + Night Vision: 360° panoramic view angle with fisheye Lens, no blind area, see the entire room in stunning HD video quality during the day or at night. ★Motion Detection: When some suspicious activities occur, this camera will alert you via APP immediately. ★Two-way Audio: Build-in responsive and advanced microphone for a clear 2-way audio experience, through which you can hear and talk to your family quickly and easily no matter how far away you are. ★Easy to use: Quick WiFi setup via IOS or Android Smartphone using supplied APP, remote access to the camera on Smartphone,view the image in 1 minite through the cctv network camera. ★Steam Server: We use lastest stream server technology,make your ID safe and no attack from internet,the image is more fluent and fast. Whether you want to keep a closer eye on your home, office, or storage area.This is a delicate wireless panoramic camera：Care what you care--you may use it to monitor your baby, pet, nanny, elder, employees and home. 2,This IP camera is mini design, HD resolution(1280*960), a perfect choice for realtime monitoring your home security & surveillance, to monitor your babysitter or nanny, or keep an eye on your office or business. 3,This IP camera is utilizing advanced H.264 technology, uses minimal bandwidth and storage requirements with smooth real-time video and audio streaming.